Worm farming is becoming more and more popular all over the United States, this article will give you some ideas to help you start your own worm farm. Worm farms on a large scale exist as follows: Arizona, Connecticut, New York, Oregon, South Carolina, Michigan, Montana, New Mexico-1 each. Florida, Massachusetts, Missouri, and the United Kingdom-2 each. Pennsylvania, Texas-3 each. Canada and Washington-4 each. California-15. There are many more smaller worm farms that are not listed in the major directories. All over the world there are people with small worm farms in their yard. Any business, including worm farming, will take from 3 to 5 years to break-even after their initial investment and maintenance costs. Proper planning is the key to starting a worm farming business. Careful consideration means a better chance of netting profits sooner. What do you know about breed stock? You can find good breed stock in a city gardener’s basement supply just as well as you can from any established breeder with the same type of worm. It isn’t unusual for someone to try to sell breed stock at an inflated price in any animal business. The population can take as long as 90 days to double no matter where you buy your breed stock. How many worms you should start with depends on several things. What is your budget? 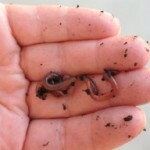 Will you have a large or small worm farm? Do you have enough space or will you need to expand? Will this be your primary souce of income or just a side business? Do you live in an area with seasonal temperature changes and will you be able to keep the worm farm at a fairly consistent temperature? 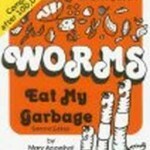 Are you going to ship worms all over the country or are you just going to sell locally? 1. Weather changes will affect the worms. 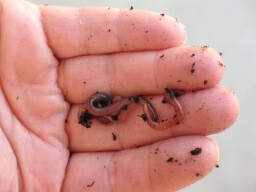 Finding them in the lid of your worm bin before it rains is no reason to panic. 2. Ants will be more likely to enter your worm bins if the bedding is dry or highly acidic. Raise the moisture content or keep the legs of your stand in a container of water. You could try applying petroleum jelly around the legs or adding some garden lime near the ant gathering spot. 3. Cover your fresh worm food with the soil in the bed or place a layer of wet newspaper over it to get rid of vinegar flies. Don’t overfeed the worms because that can attract flies and other insects if there is extra food for them. 4. 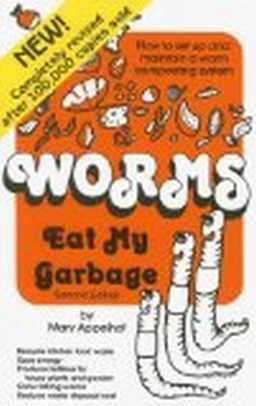 If the worm bin smells you are either feeding them too much or you are feeding them food which is rotting before they can eat it. Stir the waste lightly to allow air flow and space for the worms to travel more easily and feed less. Over time you will get an idea of the amount of food the worms can digest. The amount will change as the worms multiply. Knowing this information should help you to become an excellent worm farmer!